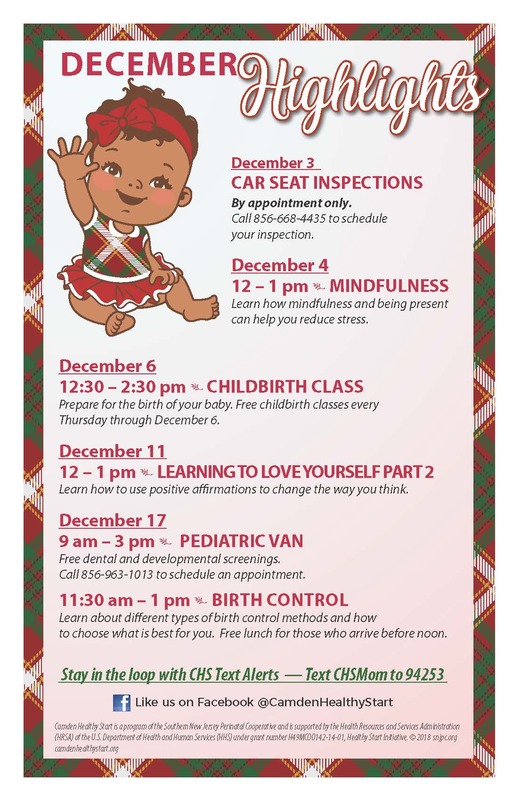 A FREE workshop for Camden Healthy Start participants. Learn about different types of birth control methods and how to choose what is best for you. Session conducted in Spanish from 9:30 - 11 am and in English from 11:30 am - 1 pm.